DEVIZÁS! FELTÉTLENÜL NÉZD MEG! 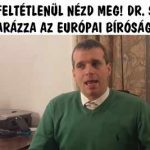 DR. SZEPESHÁZI ELMAGYARÁZZA AZ EURÓPAI BÍRÓSÁG ÍTÉLETÉT. TÖRVÉNYSZÉK: NEM ENGEDIK ELÁRVEREZTETNI AZ “ADÓSOK” INGATLANJAIT. 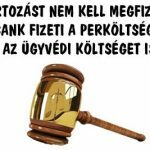 A TARTOZÁST NEM KELL MEGFIZETNI, A BANK FIZETI A PERKÖLTSÉGET ÉS AZ ÜGYVÉDI KÖLTSÉGET IS! VARGA-DAMM ÉS A LAKÁSMAFFIA?? IGAZ LEHET?? EZ KEMÉNY! 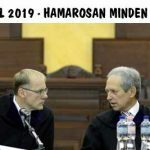 TÖBB MINT EGYMILLIÓ HITELSZERZŐDÉST MONDHATNAK FEL A BANKOK. 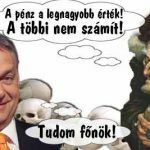 TETSZIK VAGY SEM, ORBÁN ELADTA A DEVIZAKÁROSULTAKAT! 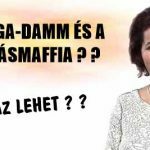 DEVIZAHITELEK – AZ ÁLLAM BEAVATKOZIK?